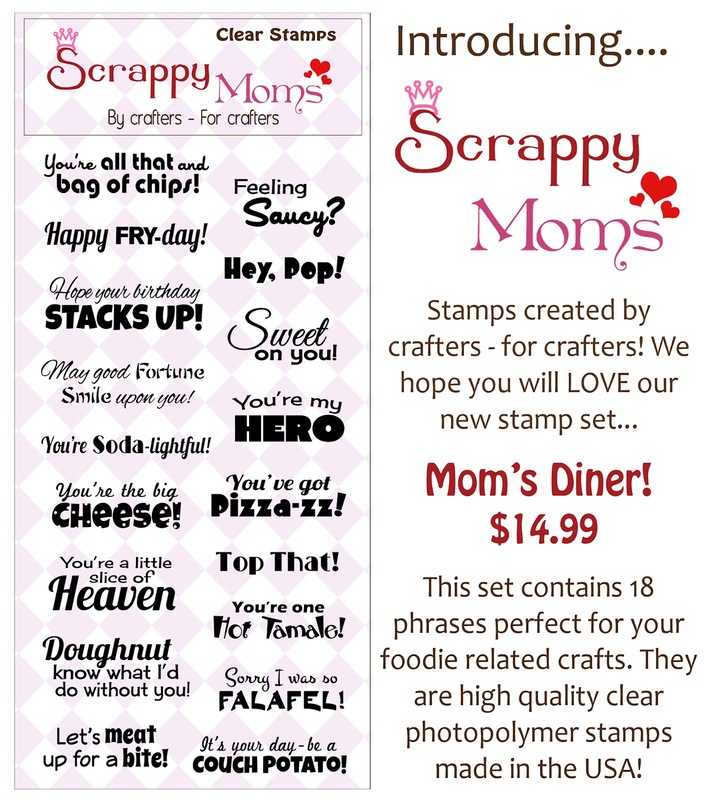 Its that time again for another Scrappy Mom's Terrific Tuesday Challenge. TTC, as we call it for short, happens the first and third Tuesday of every month. 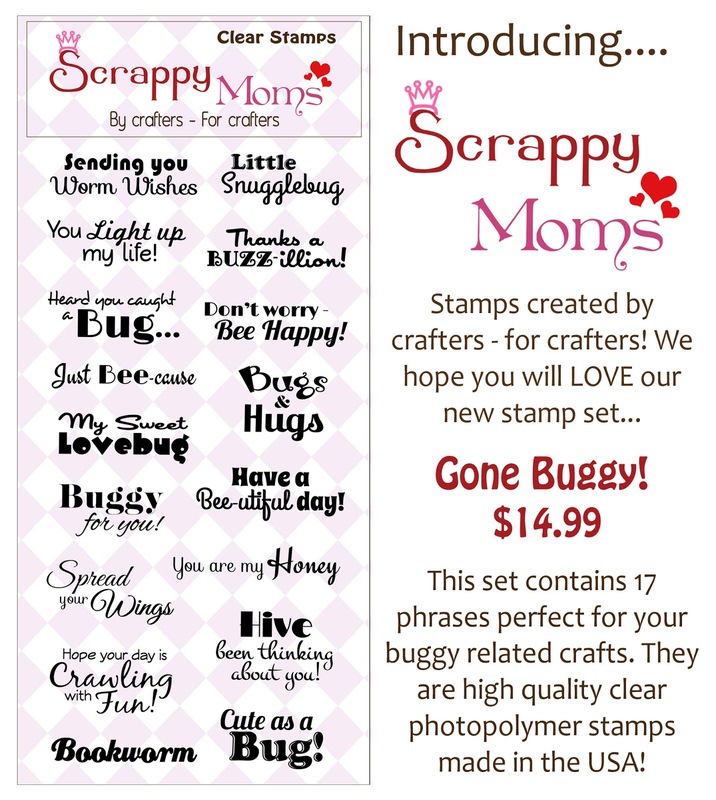 Be sure to check out the Scrappy Mom's Blog and enter in the challenge for your chance to win a Scrappy Mom's Stamp Set of your choice!! The image is from The Greeting Farm and she originally has longer hair, however, I wanted to change it up and give her a bob so I simply cut off the extra pieces :) Love how it makes her look totally different! 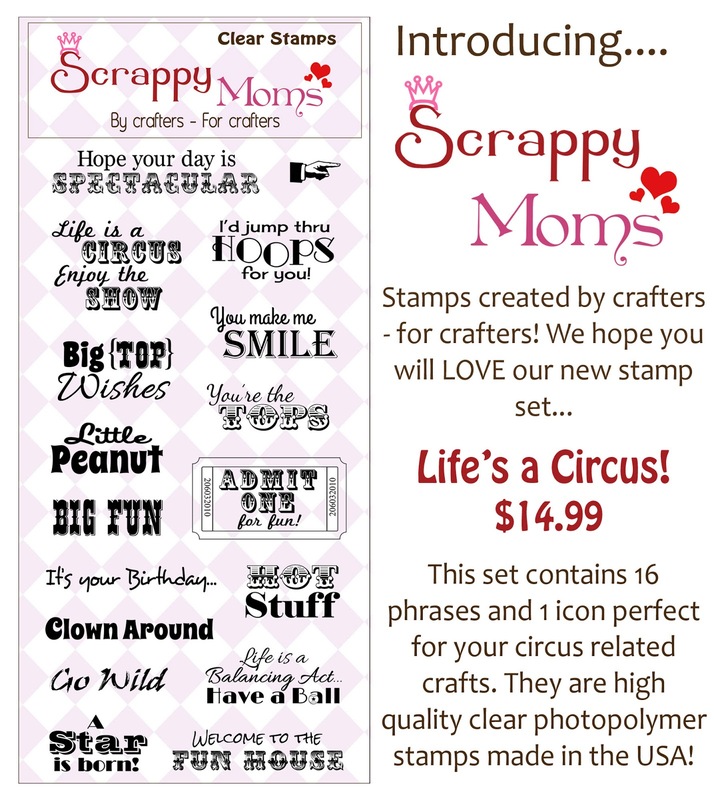 Be sure to check out the other fabulous projects by the Scrappy Mom's Designers on the Scrappy Mom's Blog. 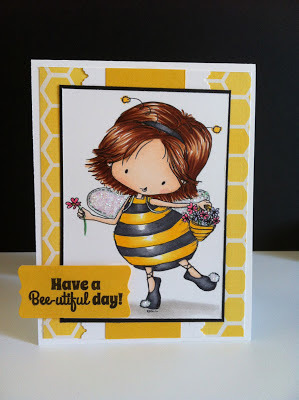 I know that its SUPER late in the evening and I'm super tardy to posting my project....its been quite a busy and hectic day. Our puppy Gem had an interview at a doggy day camp and overnight camp facility locally. Needless to say, I was much more nervous then Gemma was ;) But she did very well and got 'approved' to say for day and overnight camp! HOORAY! One less thing to worry about when we are on our trip to orlando! There I go rambling again...lol. 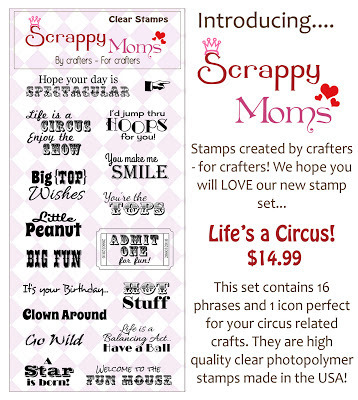 On to the real reason that you are here, Scrappy Mom's TTC! 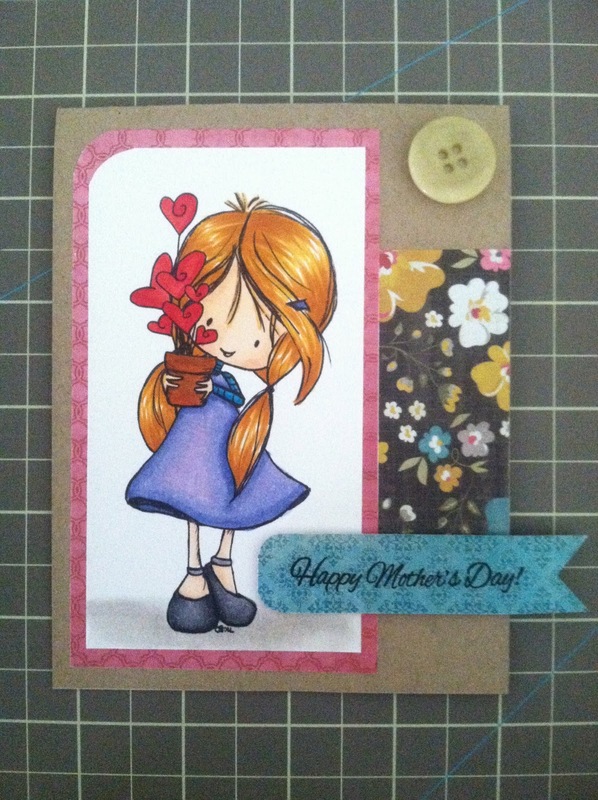 For this week, we had to create a mother's day project! Absolutely perfect timing to get any last minute cards and projects done before this Sunday! 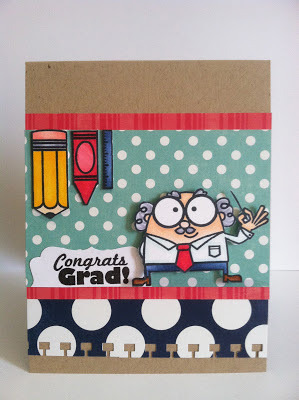 Enter in todays project, a card to accompany my mini brag book! Hope you enjoyed! 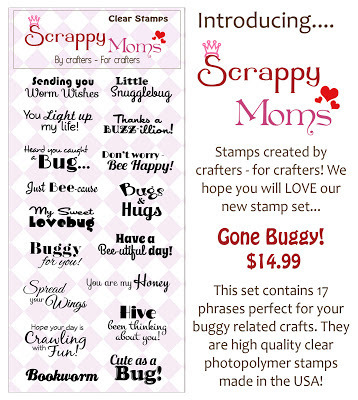 Be sure to check out the other design teams projects on the Scrappy Mom's Blog! So take a look below! and check back soon for the tutorial! 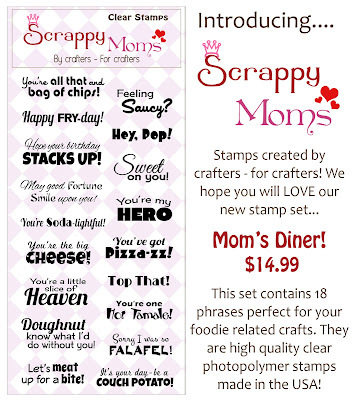 Be sure to check back tomorrow for a new Terrific Tuesday Challenge for Scrappy Mom Stamps!